spice to this multicultural mosaic. imposing spire of the Armenian Holy Church of Nazareth. lion in a gladiatorial contest” in nearby Fort William. upkeep and enough space for several hundred parishioners and a choir. KOLKATA: The Armenian population in Kolkata, numbering about 300 (those who are baptised), celebrated Christmas on Friday. 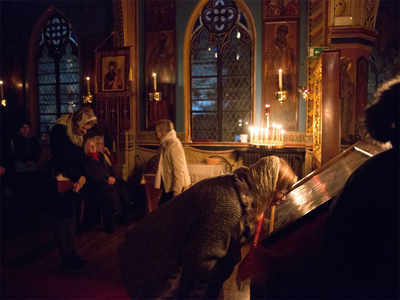 Unlike other Christians, the Orthodox Armenian Church doesn't celebrate Christmas on December 25. Armenians say that nobody is certain of the exact date of Christ's birth and they prefer to celebrate an Advent Period instead, which culminates in Christmas on January 6. The celebrations started with mass at the Armenian Church of the Holy Nazareth. "Our mass is slightly different. During the service, the priest has his back turned towards the congregation. He does so as the 'body and blood' of Christ are kept in the Tabernacle on the altar and the priest can't turn his back on God. During service, the crucifix is brought down and used to bless a baptismal font full of water. This is used as holy water throughout the year. The water is also blessed with holy oil. This is the same oil that St Gregory used when he took Christianity to Armenia. The same ingredients have been used to make the oil for over 2,000 years now," said Anthony Khatchaturian, a member of the community. The priest neither touches the Bible directly (it is wrapped in silk cloth) nor does he read from it. He sings praises unto The Lord instead. The service is always in Armenian. According to Khatchaturian, the church at Armenian Street was originally named Nazar's Armenian Church after founder Aga Nazar. Over the years, it came to be called the Armenian Church of the Holy Nazareth. After service, the Armenians got together for Christmas lunch. Over the years, the community in Kolkata has adopted the Anglo-Indian cuisine as most ingredients used in Armenia aren't available here. "One of Bengal's favourite dishes 'Potoler Dorma' has its origins in Armenia. We call it 'Dolma' and use grape leaf to wrap the mincemeat instead," Khatchaturian said. Gravestones speak of lives lived, pathways traced and choices made. ruins of Chennai's old cemeteries. tombstone, dating way back to 1652.
which the law college currently stands. patches of debris than green grass. In stark contrast, the two corners of the cemetery wear a fresh look. the other constituttes the Roman Catholic part of the cemetery. stress breaker. one's looking for. On Madras Day, retracing the origins of ‘Azdarar’ and the merchant community that supported it. Under the shade of frangipani trees in the quiet garden of Chennai’s 245-year-old Armenian Church is a grave decorated with an open book. 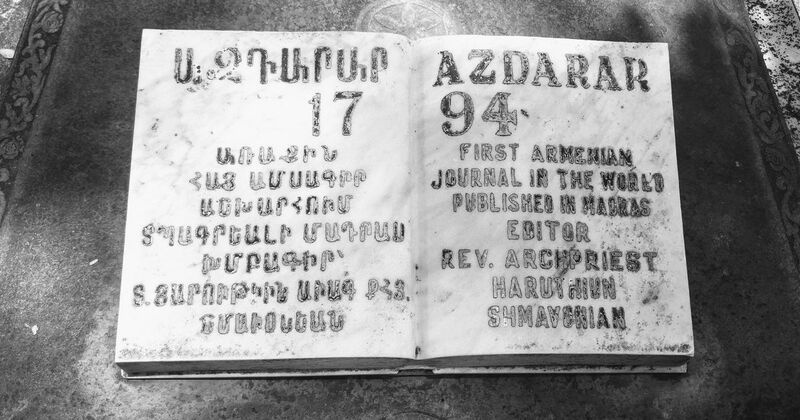 Engraved on the book in block letters is the word “Azdarar”, which means “The Intelligencer” in Armenian. This was the first Armenian journal in the world, published in Madras in the year 1794, when the merchant community from the mountainous, Eurasian country was thriving in the city. The grave belongs to Reverend Haruthium Shmavonian (1750-1824), who was the editor and founder of Azdarar, hailed as the Father of Armenian Journalism. Shmavonian was born in Shiraz, a cultural hub in Iran. After the sudden death of his two sons, Shmavonian moved away from the crowded city to study Persian, which he ultimately mastered. His later voyages led him to settle down as a priest in Old Madras, where he eventually began the journal Azdarar on October 28, 1794 publishing business and world news in Armenian for the settlers in Madras. The journal lasted only for 18 months, for reasons unknown. “The journal, sad to say, did not last long – and the few attempts to revive it also failed,” wrote city historian and chronicler S Muthiah in his book Tales of Old and New Madras. Little is known about this Armenian journal today. While much has been written about the elegant architecture and the famous bell tower of the Armenian Church in city newspapers, the journal usually receives only a passing mention. The Armenian connection with Madras dates back to the 1600s, when merchants arrived by sea to trade in jute and silk, spices and precious stones. The first traces of Armenian settlements in India can be found in Surat in the 13th Century, where Armenians settled after fleeing from the persecution of the Islamic Caliphate in Persia and the Armenian Highlands. The community soon spread its network and settled in the port cities of Bombay, Calcutta, Rangoon and Madras. Armenian Street in northern Chennai still serves as a reminder of the city’s links with the Eurasian country. The bustling street, which is now lined with street vendors and tea shops, also houses the remnants of an era long past. The Armenian Church, where the grave of Shmavonian lies, was once the focus of the city’s Armenians – not only for religious gatherings but also as a storehouse and library for a large collection of books for the local community. According to one study on Armenian print culture, a merchant prince named Shahamir Shahamirian, established the first Armenian printing press in India in the city of Madras in 1772 in India. This press also published a number of important works of Armenian political thought and modern constitutional thinking around 1787, including The Snare of Glory by Shahamirian – the first republican-inspired proto-constitution of the future state of Armenia. But these books dwindled in numbers along with the community. After the city’s last Armenian moved to Bengaluru around 2007, there were no more descendants of the original settlers in Chennai. But even today, the Republic of Armenia acknowledges its strong ties with India, and Madras in particular, as it prepare to build a monument in front of the Victory War Memorial in Chennai to mark 25 years of diplomacy with India. 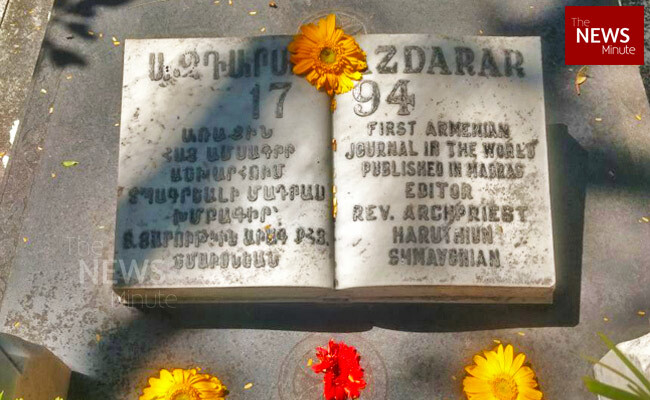 “What would the history of Armenian journalism be without the world’s first Armenian newspaper Azdarar, published for two consecutive years by Haruthiun Shmavonian in Madras from 1794 to 1796?” asks historian and Armenian studies scholar Sebouh Aslanian. Reverend Haruthiun Shmavonian was “the last of the great Madras-Armenians,” according to S Muthiah. The first Armenian leader was the magnetic Kojah Petrus Woskan, who was responsible for the strong relationship the community had with the British. 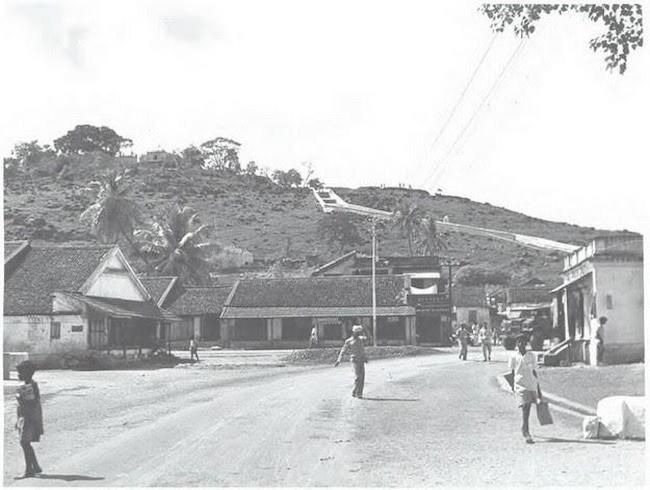 Woskan was also known for building the first bridge across the Adyar river and the flight of 160 steps up the St Thomas Mount. Shmavonian’s Azdarar however, had an impact not only on the local community but across the world. The periodical was considered to be one of the origins of Armenian nationalism. “It was the first attempt to speak for the community which was scattered across many port cities,” said Hari Vasudevan, Professor Emeritus of Calcutta University. The centenary jubilee of the the founding of the journal was celebrated in 1894, by Armenian journalists in Venice, Vienna, Marseilles, Constantinople and many other cities. According to Aslanian, Azdarar contained novel features for the 18th century Armenian readers. Since the Armenian community were primarily traders, several pages in each issue were devoted to making commercial information publicly available – such as the timetables of commercial shipping traffic in the Madras port, the price lists of various commodities traded in local markets and advertisements of goods for sale. Shmavonian himself apparently noted in his first editorial that his main aim was to “provide useful news to Madras’s then fledgling community and especially to its business leaders.” But Azdarar had a wide variety of articles. Besides business news, each issue also contained social and political news about various Armenian communities across India, said Aslanian. The periodical also had sections that would recap news from Europe, which was excerpted and translated from English language newspapers in India and Europe. Scholars suspect that the British newspapers and periodicals circulated were an important influence on Armenian print culture. Since the British were their competitors in trade, the Armenians needed to keep their community up to speed with the latest trade developments. “Many of these innovative features were creative adaptations from English-language newspapers that had just begun to appear in India, including the idea of presenting information pertinent to the business community in a public forum,” wrote Aslanian. The Armenian merchants were regular travellers, and culturally united by the churches they built and their Christian practice. But the Azdarar is regarded as one of the first non-religious attempts to bring the community together. 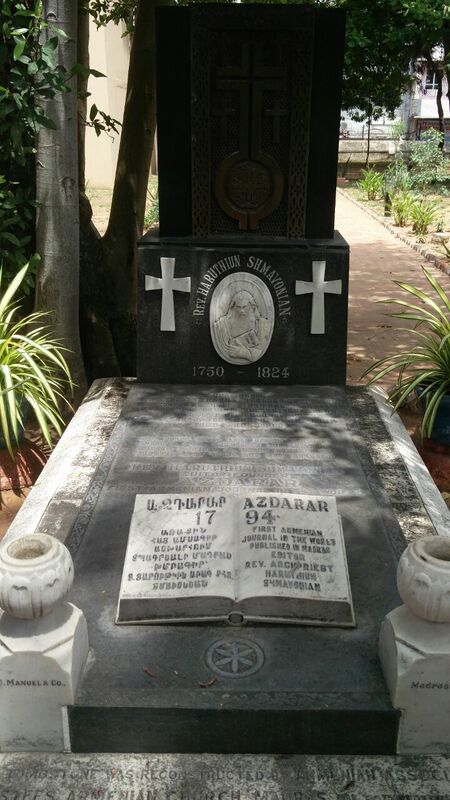 Today, in a Madras church that lies 4,000 kilometres away from their homeland, the inscription on a grave is testament to the first voice of the Armenians. Once a flourishing community in the city, Chennai now only houses six Armenians. Susan Reuben is in the city once again to attend the annual service that was conducted at the Armenian Church on Tuesday. “We were here last year and we are trying to make our visits as frequent as possible. There are a good number of people here today for the service, and this way, we can hope to revive the community again in Chennai,” she says. Susan is warden of the Armenian Church in Kolkata for over 21 years. Armenians – traditionally rich merchants – enjoyed many privileges in the country, and their trail can be traced along major coastal cities like Calcutta, Madras, and Bombay. From a flourishing community, Armenians have dwindled significantly in Chennai with just a church and a street named after them – a testimony to a once glorious past. While Kolkata has a good number of Armenian churches and a sizeable community, the same cannot be said of Chennai. In 2004, Chennai’s last Armenian, Michael Stephan, moved out from the city to Bengaluru where he currently works as a Senior Manager, client services, at a facility management company. "There are about six other families in Bengaluru now. We don't have a church there so we visit the Catholic churches," he says. The community is now seeing a revival of sorts, and six Armenians are presently living in the city. St Mary’s Armenian Church was first built in 1712 – a simple wooden structure in erstwhile Madras. It was later demolished, only to be raised again in 1772. Jude Johnson, its present caretaker, accompanies us as we walk through the serene courtyard and gardens, where almost 350 Armenians have been laid to rest. “The last burial here was in 1850, after which our burial ground was moved to a spot close to the Chennai Central Railway Station,” he says. “The altar inside the church is also special for having a portrait of Virgin Mary taking Jesus to heaven. You don’t find this anywhere else in the country,” says Jude. 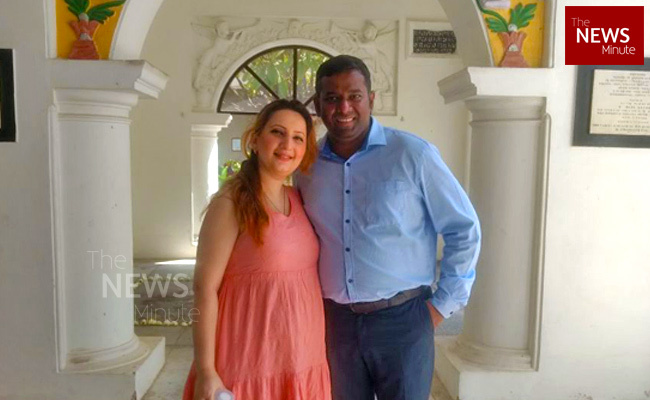 The Armenian-Madras connect goes back several centuries. “The first Armenian journal, Azdarar, was published here in Madras in 1794 by Rev. Haruthiun Shmavonian. There’s still a copy of it preserved in Armenia today. There’s also the hand-embroidered altar curtain that was presented by the Madras Armenians around 1780, which is still intact and used during the services in the Etchmiadzin Cathedral (holy cathedral) in Armenia,” says Michael, who came to Chennai for the service. The first draft constitution for Armenia was also put together here around 1780s, he shares. There’s also the story of Coja Petrus Uscan draping the Armenian Street in silk to welcome the Nawabs of Carnatic when they visited Madras. Petrus Uscan built the first bridge across the Adyar River in 1728, the Marmalong Bridge – now the Maraimalai Adigal Bridge in Saidapet – and also the steps leading to the shrine atop St Thomas Mount. The presence of the Armenians in Madras can be traced all the way back to 1512. “There are records of Armenians informing the Portuguese of the grave of St Thomas that was found in Madras,” says Niveditha Louis, a history enthusiast. One of the six Armenians in the city is Ashken, who moved here three years ago and now teaches Russian at the Russian Cultural Centre in the city. What brings her to Chennai? “Life. Love,” she laughs. “This is my small Armenia in Chennai and I come here to the church quite often. There are only six Armenians in the city now and that explains why we don't have a regular mass here in the church,” she says. Armenia was the first country in the world that adopted Christianity as its official religion in 301 AD. “There are churches from fourth century AD in Armenia,” says Ashkhen. Armenians also celebrate Christmas on January 6, the day the Western Christian Church celebrates Epiphany. “It’s how the calendar works,” explains Ashkhen. “We also do not cook meat on Christmas, but we do make fish and a special kind of pulao, and there are also a lot of greens on the table,” she adds. The service on Tuesday was conducted entirely in Armenian. It also offered a memorial prayer marking the death anniversary of Rev. Haruthiun Shmavonian, which falls on February 9. Presided by Very Rev. Movses Saargysan, who has been serving the community in Kolkata for the past two years, the service was also attended by Very Rev. Joseph J Thaliaparampil, Cor-Episcopa from the St Thomas Orthodox Cathedral, and other priests, in addition to Armenians from across the country. Will Chennai be able to save a 300-yr-old plaque connecting it to its Armenian past? 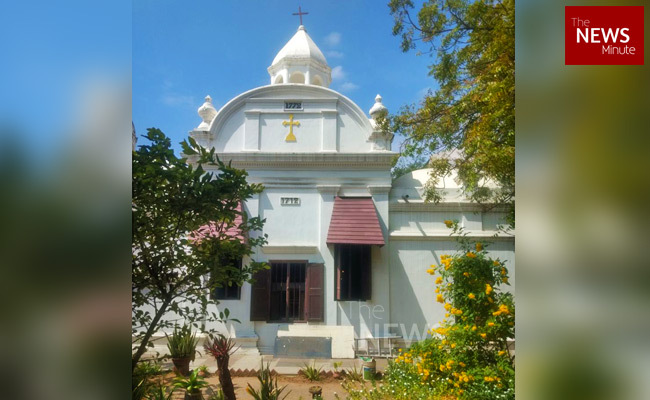 Guwahati: The rediscovery of what is believed to be an 'Armenian church' in Dhubri has reignited curiosity among heritage connoisseurs and local administration to find its roots and the extent of Armenian influence in lower Assam. With its obscure past and unique architecture, the church has been a topic of mystery among elderly locals of Dhubri town, and how with its stature as a well-connected port Dhubri had drawn people of different origins from distant places, including Armenians. The church's architecture is unique; a mix of Armenian style amalgamated with Assam-type house architecture. Compared to other British era structures it stands apart. It has three arch-shaped glass windows along with a central triangular shaped dome. The Armenians arrived in India before the British. They had a considerable presence in Kerala and Bengal. In Calcutta, the Armenians contributed to the city's commerce as a thriving business community and helped build some of the most prominent landmarks. Heritage Conservation Society of Assam (HeCSA), a registered society working towards the conservation and preservation of Assam's pre- colonial structures, recently shared a photo of the Armenian Church, sparking interest among heritage connoisseurs. "The structure throws light on an intriguing chapter in Assam's history. Till now, it was only known that Armenians had a significant presence in Bengal during pre-colonial time. Assam's heritage is something we should study and help establish with fact-finding missions. It is important to know what influence they had in Dhubri district. The cold trail of their supposed presence should be reignited by research," said Jayanta Sharma, secretary of HeCSA. Armenia, a former landlocked Soviet republic, became the world's first Christian country more than 1,700 years ago, in 301 AD, and has a large diaspora across the world. The key to the mystery surrounding the church and the presence of Armenians in Dhubri lies with the surviving older generation which has witnessed some of the remnants of what the Armenians left behind. Among them is octogenarian S.K. Bose, a writer and connoisseur of the region's socio-economic and cultural aspects. Bose was born in Dhubri and had witnessed some of the elaborate Armenian structures, including a graveyard. "There was a graveyard about 50 meters from the church. I vividly remember around 12 to 15 Armenian graves. Among them were two of children. This signifies that the Armenians had a significant presence. They were traders who could have arrived in Dhubri during the 18th century or early 19th century. But the graveyard is no longer there. Modern construction prevailed over it. Only old records could show the exact date," said Bose, who is into numismatics. "The church has stained glass called sun-catcher, with a central triangular shaped dome at the top. This aspect cannot be found in other British structures. There is a greater need for preservation. But the local administration has shown interest. Last week there was a meeting in Dhubri on how to conserve this Armenian Church. But the onus was placed on establishing its legacy and finding evidence," said a source. The British transformed the Armenian Church into a club which post-Independence came to be known as the Ladies' Club. Ladies’ Club or century-old Armenian church? 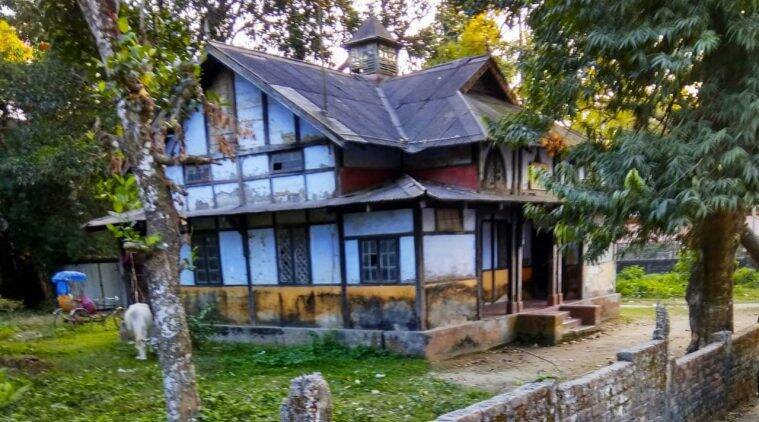 A mystery building in Assam’s Dhubri Assam’s conservationists believe that there might be a century-old Armenian Church in Dhubri but caught as it is in a bureaucratic quagmire, investigations have not made any headway. This Assam-type house in Dhubri, which now functions as a Ladies’ Club, is believed to be a hundred-year-old Armenian church. 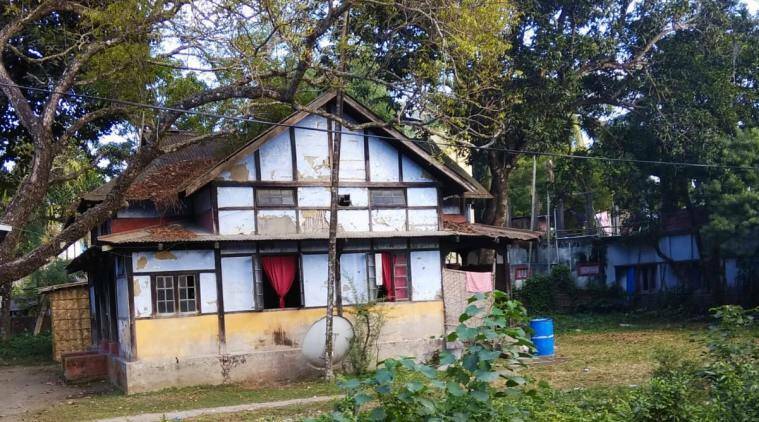 Even today, among the older residents of Dhubri, a town in Western Assam, the debate about a dilapidated cottage on PM Dutta Bahadur road continues. For some, it is not more than what it appears to be: an old Assam-type house that has fallen into disrepair. Yet others believe it has a more intriguing provenance — that almost a century ago the structure was an Armenian church. The second opinion has generated fair amount of curiosity among heritage enthusiasts over the past few months. There were a series of media reports, even picked up by the international press, which culminated in the Armenian Ambassador to India, Armen Martirosyan, inviting the Heritage Conservation Society, Assam (HeCSA) to New Delhi to discuss the matter last month. But it is this “documentary evidence” that has remained elusive, despite many efforts to find it. So far, evidence has been secondary, and at best based on hearsay. Kolkata-based SK Bose was born in Dhubri in 1937, and lived in a home located just a few minutes away from the building. “Growing up, we would hear that it was an Armenian Church. It is very difficult to remember who told me but that was the general story passed around,” says Bose, who specialises in numismatics (the study of coins). Last week, when Bose — now in his eighties —was in town for a lecture, he “peeped into the old house”, which now functions as a Ladies’ Club. The colonial-era club was started by the British in 1935, and the tradition has been carried forward by a group of Dhubri women. The cottage is in a dilapidated condition with a few windowpanes missing. Bhoben Barua, a writer based in Diphu who has researched Armenians in India, says that according to the 1901 Census Report at least five Armenians were listed as living in Dhubri. “They came to the region, possibly for business, even before the British in the mid-1800s. While they traded in salt, tobacco and betel nut, the British soon began to monopolise the trade. My conjecture is that is when they must have moved to Dhubri to trade in morapaat (the dead or dried leaves used to make jute),” says Barua. Under the British, Dhubri was first constituted as a municipal board in 1883. Later it emerged as important port town (especially for the jute trade) and served as an entry point to Assam. “It was the only place which had a direct steamer link to Kolkata back in the day,” says Barua. He further goes on to add that Armenians were known to build churches, not in the capacity of missionaries, but for their own use. “For example, if there were even five-six people, that would be enough reason to build a church,” says Barua. The Armenian churches in Chennai, Kolkata Surat, Mumbai etc — all of which are backed by proper documentary evidence — confirm the same. The Dhubri cottage has certain architectural features that bear similarities with those of the Armenian Holy Church of Nazareth in Kolkata. The Dhubri cottage has certain architectural features that bear similarities with those of the Armenian Holy Church of Nazareth in Kolkata: the coloured arch-shaped glass windows and a central triangular-shaped dome. “Despite these similarities, one needs to corroborate evidence to prove that it was actually a church,” says Bose. HeCsa’s Sarma is keen to use something called a Ground-penetrating Radar (GPR) sensor (a geophysical method that uses radar pulses to image the sub-surface) to get the corroborative evidence needed. “But we cannot start until the Dhubri district administration initiates the process,” he says. Sarma has met with the members of the Directorate of Archaeology in Guwahati, who he says, are also keen to carry out a joint survey. “But we, too, can start only if we get an official request. It is not a protected site yet — until the district administration notifies us, we can’t go and survey it for its historical importance. These are the steps we must follow,” says Deepi Rekha Kouli, head of the Directorate of Archaeology. “Also, the house belongs to the Ladies’ Club. 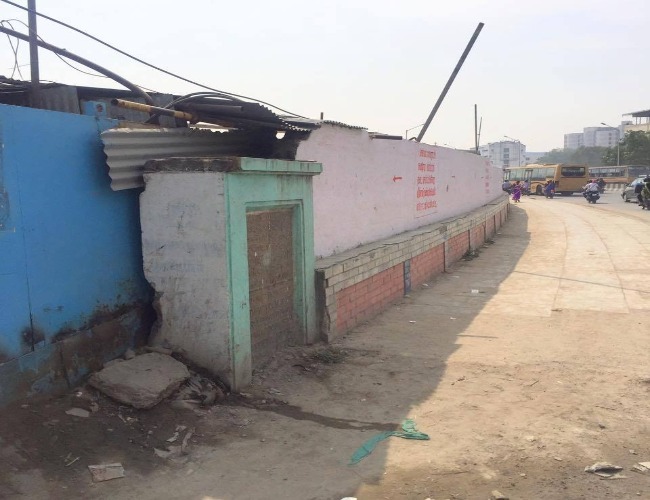 How can the district administration intervene in a property which belongs to someone else? Even the High Court has passed a judgment regarding the same,” he says. 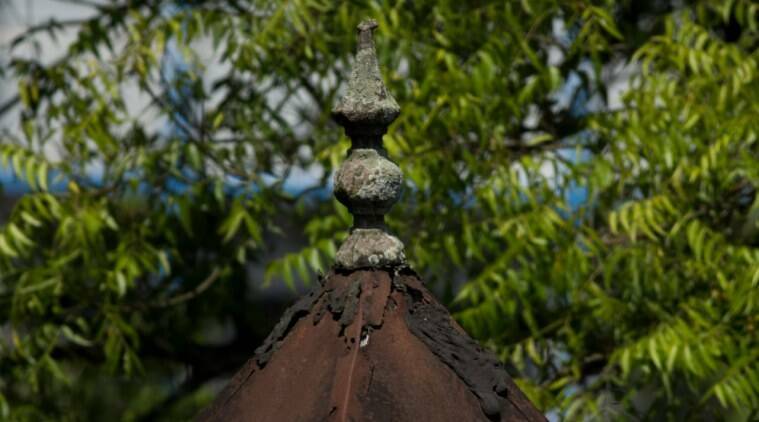 Conservationists are now trying to find proper evidence to establish the cottage’s provenance. For years, a legal battle ensued between the Ladies’ Club and state government regarding the land the structure stands on. 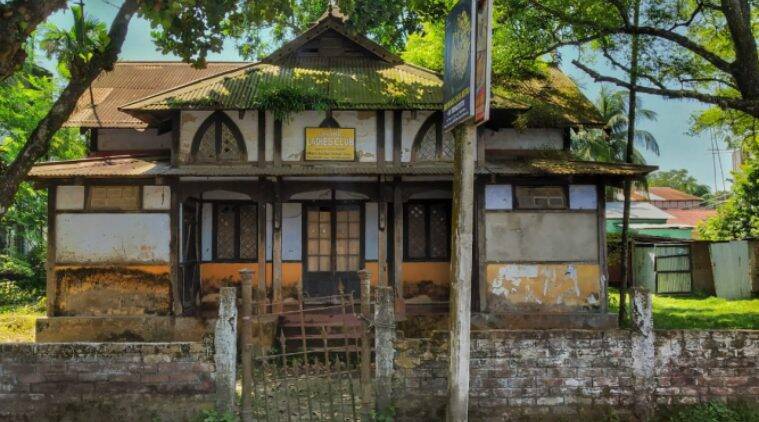 In August 2018, the Guwahati High Court ruled that the land — an L-shaped government-owned khas fallow property — would be shared with the Dhubri District Museum, and that the Ladies’ Club that would continue to function out of the cottage. If you walk along Armenian Street today, it is vastly different from the time when the merchantmen of Madras occupied it. Street stalls are buzzing with business, bikes are parked right along the road and where they are not, cars squeeze in. A sea of people trundle down the narrow road, and yet no one turns to even take a look at an old arched entranceway, sharing its wall with a crowded fast-food joint. The Armenians, who established a thriving settlement in Madras in the 1600s, will celebrate the 360th year of their presence in the city in September this year. The earliest existence of Armenians in India dates back to the late 8th Century. A man called Thomas Cana, arrived along the Malabar Coast in 780 AD. According to Portraits of Hope: Armenians in the Contemporary World by Huberta Von Voss, not much is known about his origin or mission but he was lauded as someone who worked for the rebirth of Christianity. The Armenian presence in Madras however, became rather eminent in the 1660s. Madras: The Land, The People and Their Governance by S. Muthiah points out that the earliest Armenian tombstone dates back to 1663 and is of Coja David Margar. This was found near Little Mount. Hurberta Von Voss’ book though, also says that the Armenians of Madras were the first to discover the sepulchre of St. Thomas upon the Mount and took the Portuguese there in the 16th Century. In fact, it is popular knowledge that the church atop the Mount served as a lighthouse to guide Portuguese and Armenian ships around that time. Even if there is no record of when exactly Armenians settled here, it was clear that they monopolised trade between India and West Asia on the one hand and Manila, a Spanish bastion then, on the other (according to S. Muthiah’s Madras: The Land, The People and Their Governance). They traded mainly in silk, spices and gems. In fact, the last Armenian to live here was Michael Stephen, who left the city a few years ago. And now, only a church, a street named after the community and a few lesser-known relics carry their stories. The most visible Armenian monument in Chennai is the much-written about Armenian church, which was first built in 1712 and later rebuilt after the French siege in 1772. The first church was built of timber in the present High Court area with permission from the East India Company. The Armenians were given 50 pounds to manage the expenses of the church. This encouraged more traders to settle in and around the area. Vestiges of Old Madras by H.D. Love points out that the earliest Armenian church, situated in Old Black Town, as shown in Thomas Pitt’s map, was probably built shortly after the Company entered into a covenant with the Armenian residents in India. The new church, however, was consecrated in Aga Shawmier’s chapel grounds in George Town. The street on which the church is situated continues to be called the Armenian Street, where the settlers once lived. Perhaps the most famous Armenian in Madras was Coja Petrus Uscan, who is remembered for constructing or donating to the many remaining Armenian relics in the city. S. Muthiah’s book says that he was the heir of a family that had trade relations with the East for generations. But he settled in Madras only in 1723, on his return from Manila. A philanthropist, he contributed to several religious institutions in Madras. Santhome High Road isn’t a place where one can wind back time. Cars rush past at breakneck speed and there is no time to stop and stare, even if the object of concern is a three-century-old Armenian inscription that faces the road. Just at the edge of San Thome Matriculation Higher Secondary School is St. Rita’s church (now chapel), towards which Uscan donated liberally. It was built by Armenians and an inscription on its east wall, in Armenian characters, says In Memory of the Armenian Nation, 1729. H.D. Love’s book points out that the event commemorated was the opening of the grave of St. Thomas, which took place in April 1729, to which Uscan was a witness. Another inscription in Portuguese in the same church shows that it was partially rebuilt in 1740. The church, now a part of the school, is not on the mainstream heritage map. 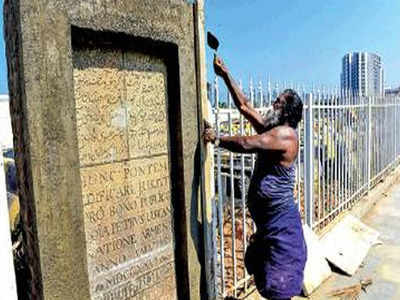 CHENNAI: As the mason plasters on the final touches to the concrete border around the 300-year-old Armenian plaquein Saidapet, social media in Armenia lights up with celebratory messages. The Marmalong bridge was replaced by the Marimalai Adigal Bridge. The plaque has inscriptions in Persian, Armenian and Latin.